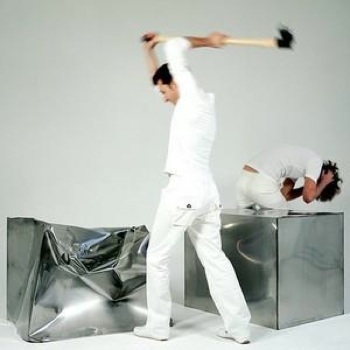 Droog Design's Do Hit Chair is a cube made from .04" steel. It's shipped with a sledgehammer for you to customize it's shape yourself. Created by Marjin van der Poll, it's available from Unica Home for $6718 for one that he pre-hammered. A smash-your-own model is $5924.